Markets fell sharply this week. 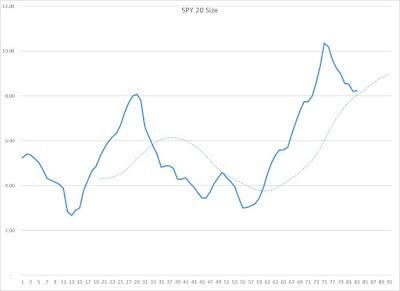 SPY, an Exchange Traded Fund that mimics the SP 500 index, fell 16.24 points (-5.92% on the week). 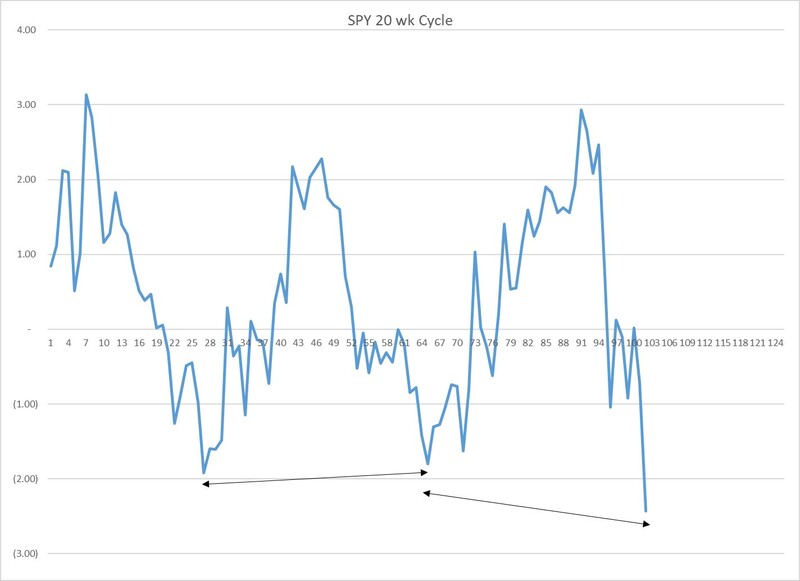 While the downturn appeared severe, technically, the damage appears minimal so far with support coming in at the 40 week average, just as previous downdrafts did. 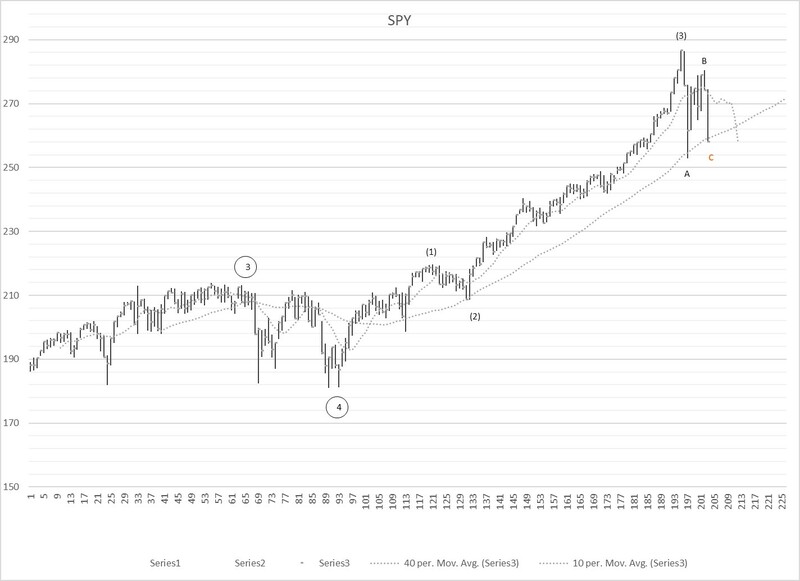 For trend buyers, buying at or below a chosen long term trend is a good strategy. 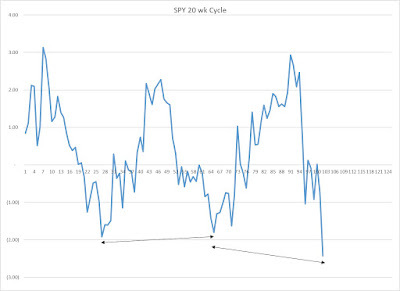 From a cycle perspective, the timing of this decline is similar to the previous decline. Not to say that the decline is over, but Size, my view of volatility over the past 20 week period, continues on a downtrend and is easing to the moving average. 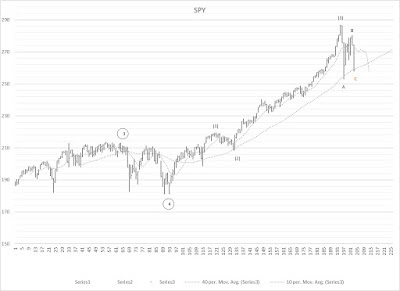 Further declines and an increase in this indicator would push me to reevaluate my current thinking, that we are at or close to the bottom of this wave. On Thursday and Friday, I began purchasing call options. 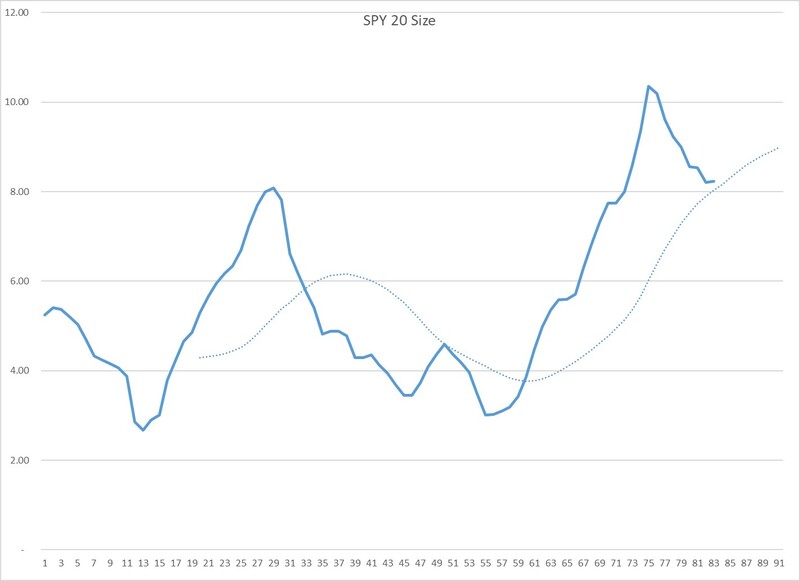 On Thursday, I purchased options with an early May time horizon, anticipating that SPY will make a three-month test of the recent highs. The test occurs at the end of April. Throughout this bull market, prices easily cut through the previous highs. Not saying that this is what I expect, but I am positioned for it. Should price meet with resistance and it fails to make new highs, at that point, it would be a good time to begin positioning for a downturn. Analysis, that I will present at a later time, shows that the wave 5 can run for quite awhile, like longer than a year. More to come.